I recently posted a review of the Baron Fig Vanguard notebooks. In it I mentioned how much I enjoy the paper, but that there is a significant difference between the paper in the Vanguard I and Vanguard II notebooks. I discovered this difference because I bought a new 3-pack of notebooks at a local shop that turned out to be the older version, the Vanguard I. 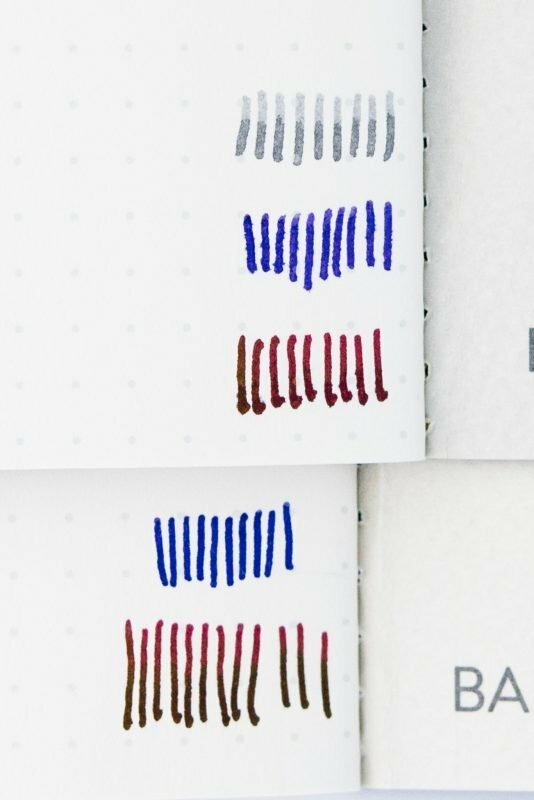 Since I didn’t like the paper in the older notebooks nearly as much, I wanted to be sure I got a new version, so I ordered another 3-pack directly from Baron Fig. 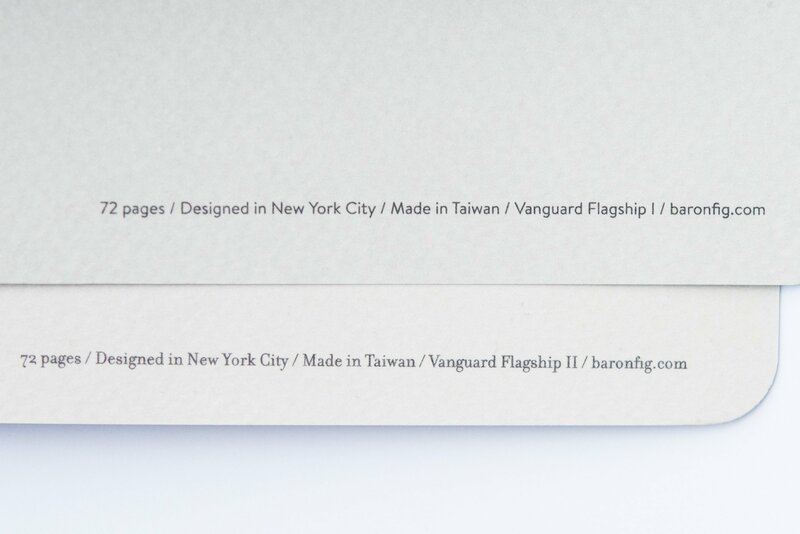 Much to my surprise, the notebooks that showed up were also marked Vanguard I. What the heck was going on here? Here is the text inside each book. Although the one I just bought says “Vanguard I”, the service rep says it is just a misprint. 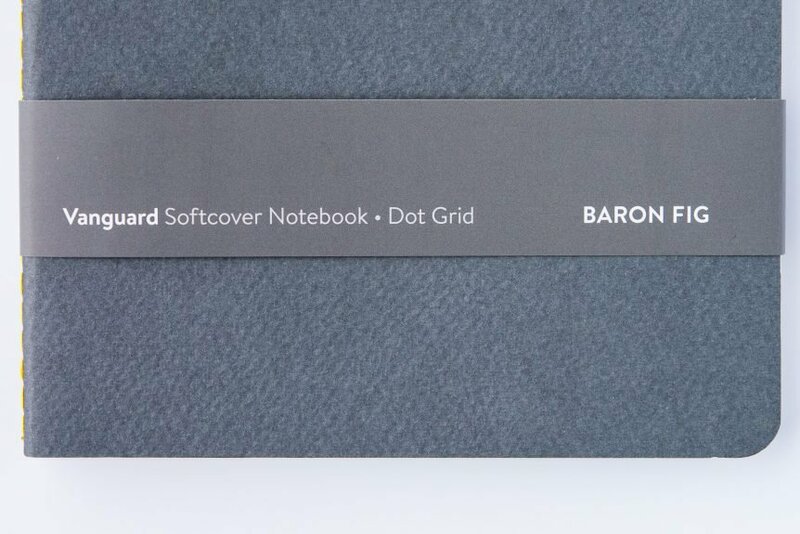 I immediately emailed Baron Fig’s customer service and let them know that I had received an old version of the notebook. I knew that I should have received the Vanguard II, since the last ones I ordered from them were Vanguard IIs. I didn’t write in the notebooks I had just received so that I could send them back for a replacement. I don’t think we’ve had any Vanguard 1’s in stock for a long time BUT our designer also forgot to update that text in the back of the book so a ton of our Vanguard IIs are being sold as 1. The two ways to tell are the paper (did you try it yet?) and the logo – the updated Vanguards have our updated logo on the package and in the book – it’s a fatter, bolder version of our old logo. If it has the new logo, it’s the new paper. All of the Vanguards I have here in the studio are the IIs but say they’re I.
I went ahead and looked at the logos. Indeed, it did look like it was the new logo, but it was confusing as the logo in my other Vanguard II book was the old logo. I thought maybe I was confused or she typed in the wrong info, so I tested out the paper. It definitely performed like the paper in the other Vanguard I notebooks I had. My older (Version II) is on the bottom, so you can see how much more feathering there is than on the new notebook that’s marked Version I.
I had also ordered a different notebook, a Confidant, at the same time as these. While I had checked to make sure it was the version II (which it was), I hadn’t checked it yet to see whether or not the paper performed like the previous notebooks that I liked so much. Fortunately, it was exactly what I wanted. 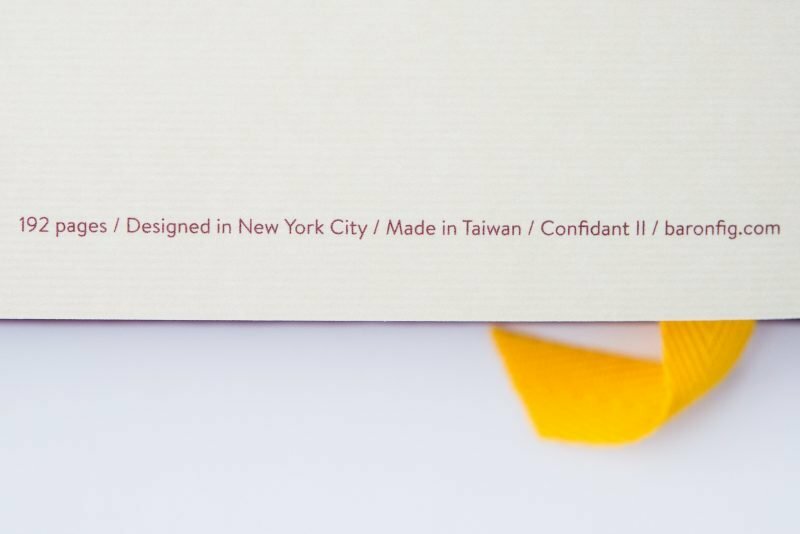 The Confidant notebook that I received was correctly marked as Version II (and the paper is great). While I wasn’t crazy about the fact that she had checked them and they still said Vanguard I, I figured I had no choice but to trust her. So I waited to see what showed up. The new notebooks arrived quickly, so I didn’t have long to wait. I opened the package and found that they were not in their original packaging, which meant she had indeed opened up the notebooks and checked them before shipping them. That’s definitely an extra step that some companies probably wouldn’t have taken. The notebooks I received looked exactly like the last ones they sent. Same color, logo, everything. Unfortunately, the paper also performed the same. What a disappointment! I was hoping that somehow I just received a bad pack of notebooks the first time, but it looks like that’s not the case. My older (Version II) notebook on the bottom has no bleeding, while the newer version (top) shows bleeding. So what does it all mean? 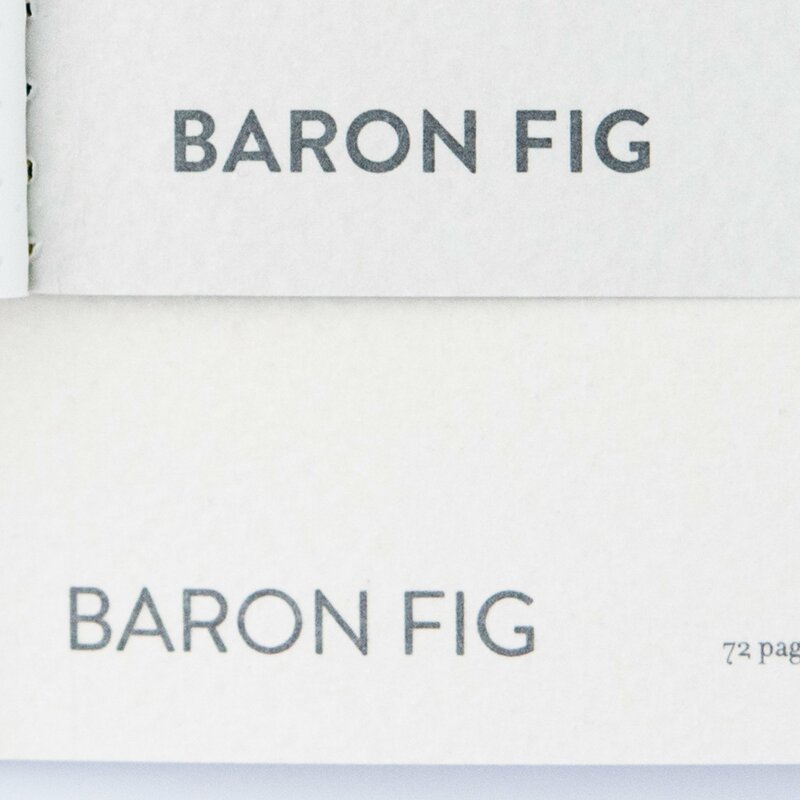 Both of the Baron Fig products I have purchased that actually say that they are Version II have great paper, while every single notebook that says Version I (even if they claim it is Version II) has bad paper. For me, I’m not trusting that anything is a Version II unless it actually says “Version II” . Furthermore, I don’t know how much I trust Baron Fig paper now. I really want to, but when I can’t know what quality of paper will be in a notebook I purchase, it’s hard to spend more money with them. I feel like this is similar to my experience with Leuchtturm notebooks. In both cases I loved the paper in the first notebook, but was disappointed with the paper quality in the next one I purchased. Here are the two different logos. The bottom one is the older one, the top one is the new one. My older notebook that says Version II is on the top and has much more intense color than the “mismarked” new version I just bought. 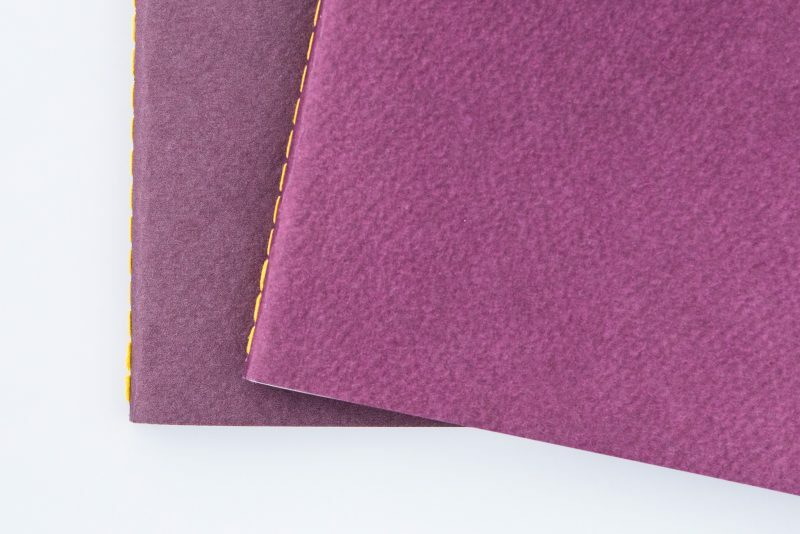 Personally, I won’t purchase any more Baron Fig notebooks until I can confirm that they are not only the newest version, but also that the paper has not changed for the worse. Their customer service was great and I really appreciate the effort that went into trying to make me happy. 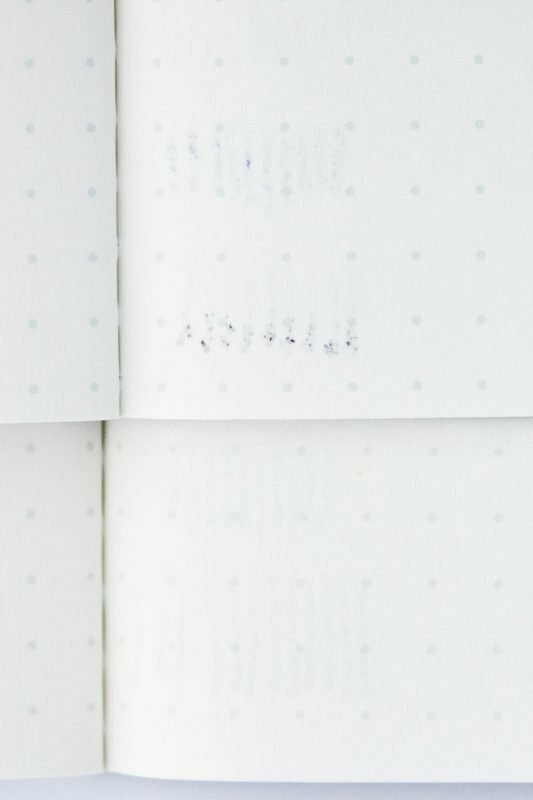 There are so many things I like about Baron Fig, I want to keep supporting them and using their products, but without good paper their notebooks just aren’t worth it.